Your Audi represents your success. There is no better auto repair shop in the Denver Tech Center area than Antero Automotive & Truck Services. Our team of ASE-Certified and Master-Certified auto mechanics knows the intricacies of such an excellent vehicle. Audi has an international reputation for delivering high-quality cars, and we have a reputation for providing high-quality auto repair. 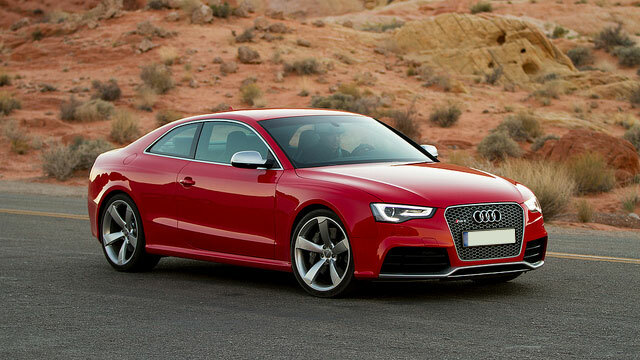 At Antero Automotive & Truck Services at the Denver Tech Center, we continually strive to stay on top of all cutting-edge developments so that we continue to meet the Audi owner’s highest standards of customer and auto repair service. Excellence is at the pinnacle of our service, and we deliver only the best auto repair to drivers from the communities of Denver, Greenwood Village, Englewood, Parker, and Aurora. “How do I like Antero's let me count the ways. First of all, as a woman I am often unsure if I am told the truth about what needs to be fixed on my car. That all changed when I found Antero's. They are always upfront about what my car needs now and what can wait. I appreciate honesty in a business. Second, they are reasonably priced. Yes, you may find you can get the job cheaper at another shop, however, their mechanics are top notch and again, honesty goes a long way in my book. I recently had something happen to my car and had to have it towed. They got my car in that day without an appointment. Their goal was to get the car fixed as soon as possible so I could get back on the road. Third. Shuttle service. Thankfully, I work near the shop, and they took me to work. The shuttle driver is a really nice guy and made the trip a pleasant one. Antero's is a shop that cares about helping its customers. They come first and that deserves a 10 in my book.” -- Laura L.
At Antero Automotive & Truck Services, we know what your Audi means to you. And because we sincerely care about the well-being and safety of you and your family, our auto mechanics will look after your Audi as if it belonged to one of our own family members. Schedule an appointment for maintenance or service on your Audi today, or stop at 6615 S. Dayton Street, Greenwood Village, CO, 80111.